Here it is! 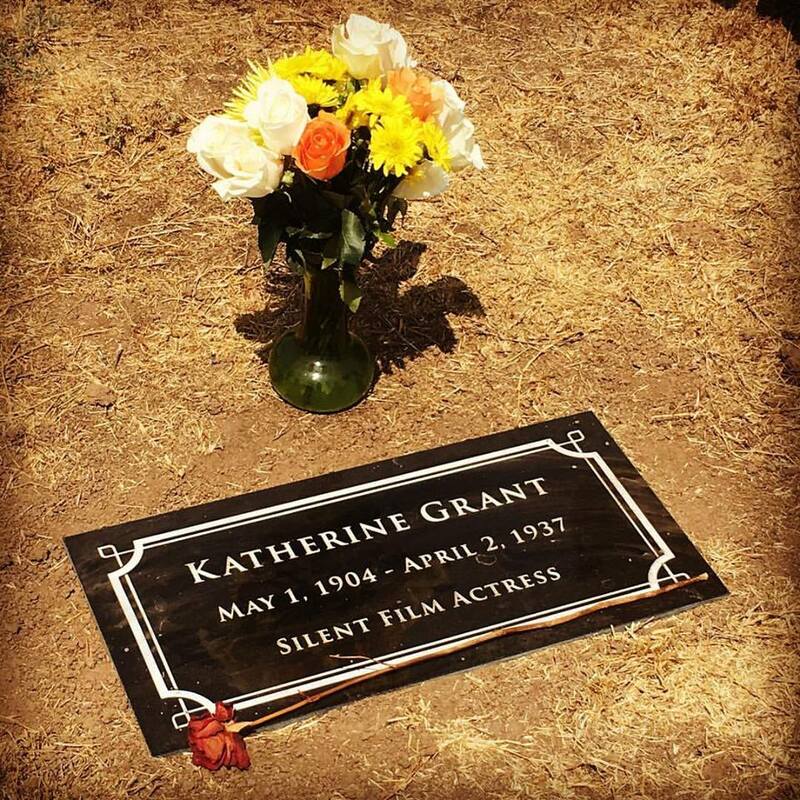 On Saturday, me and a small group of fellow silent film fans got together at Katherine's grave site to honor her. Please ignore the dead grass (it is California after all) and focus on how great the headstone turned out. I am very honored to have been a part of this project and look forward to many more in the future. 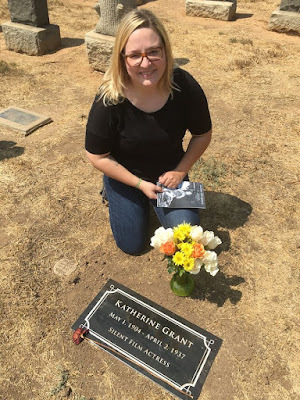 At the event I let everyone know that our next headstone projects will be for Lita Grey and May McAvoy. Lita only needs a cenotaph considering she was cremated and her ashes scattered, so that one shouldn't be as difficult as an actual headstone. I am currently looking into the cemetery rules and regulations for non-family members purchasing headstones and reaching out to next of kin. I will keep you informed! You can definitely feel love and gratefulness and a sense of peace at her grave now. I really want to thank you so much, Jessica! Finally she gets a headstone and it makes me so happy. And I bet, Katherine would be happy too about it. I'm a big fan fan of that wonderful actress. I wish I could speak to you about silent movie stars but I haven't any account where you are. Thank you for your kind words, Christin! Feel free to email me!